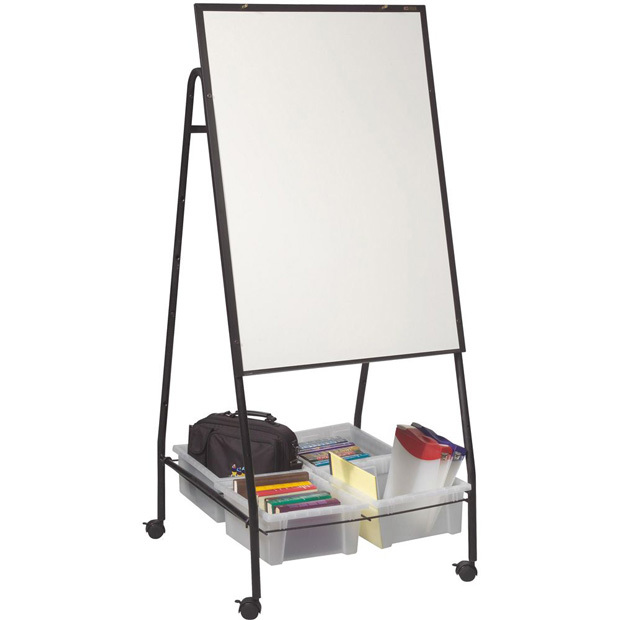 * Mobile Storage Wheasel features dry erase markerboard space and supply storage in one convenient unit. * Choose from unframed melamine or framed and magnetic porcelain steel surface. * Porcelain steel surface doubles as a magnetic bulletin board. * Includes four spacious storage tubs that store in bottom rack. 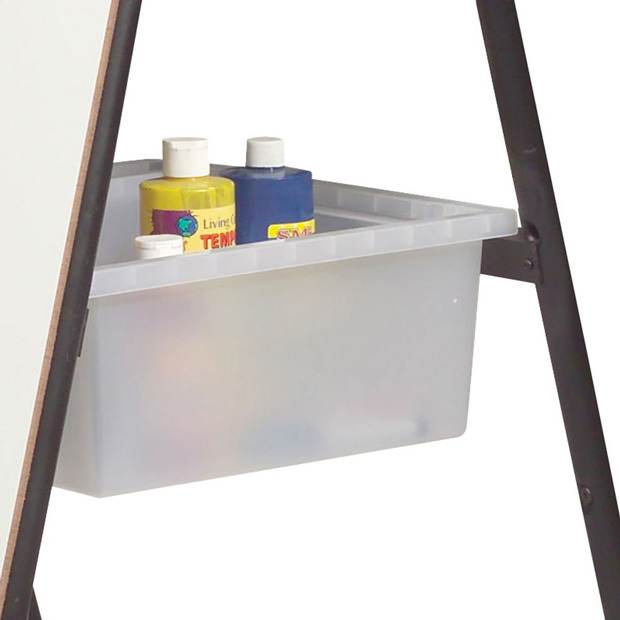 * Optional middle rack available to hold two additional storage tubs. 33" x 3" x 3"
This product is shipped from our warehouse in Temple, TX, USA. If you are a business buyer willing to place an order for $2,000 or more for this product or any products from the same product line - we offer you a phone order option at the checkout. In this case your credit card won't be charged. Once the order is placed, our Customer Service representative will call you with a personal offer including special shipping quote and price discounts. Purchase orders from educational institutions and governmental bodies are welcome!